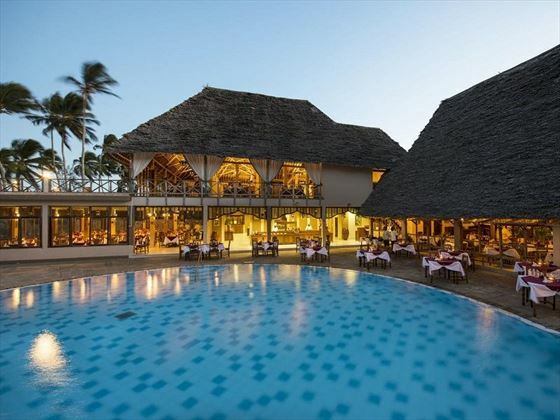 The Neptune Pwani Beach Resort & Spa is located on the north eastern peninsula of Zanzibar. 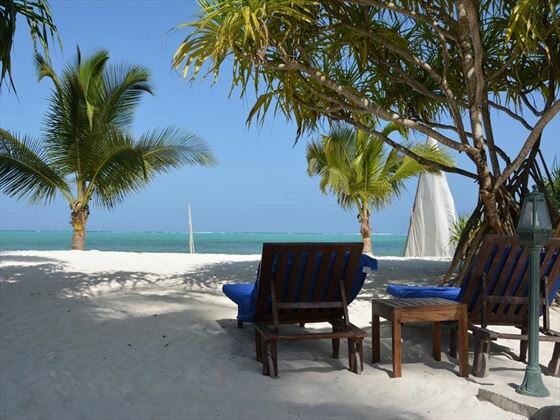 Using the best in local design, interiors and furnishing, the resort emulates traditional Zanzibar style. 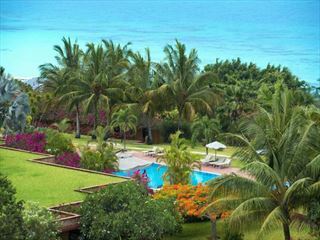 Tropical gardens surround the beautiful and very large outdoor pool. 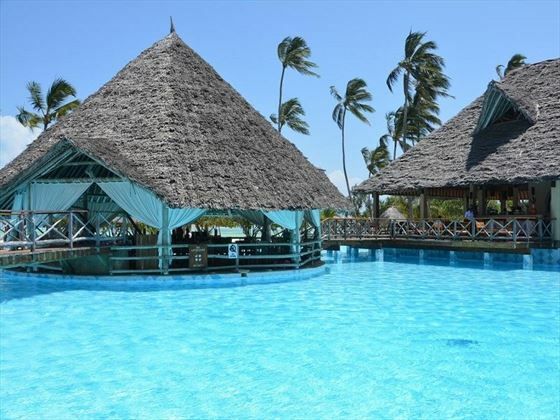 There is plenty to keep you entertained in the resort with their daily entertainment programme which includes a water gym, beach volley ball, water polo, table tennis, pool, darts and our particular favourite – African dance lessons. 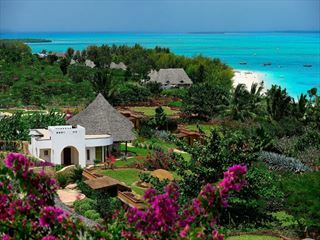 The hotel boasts a fantastic Earth & Rain Spa, a place where your sense of balance will be nurtured and rediscovered. 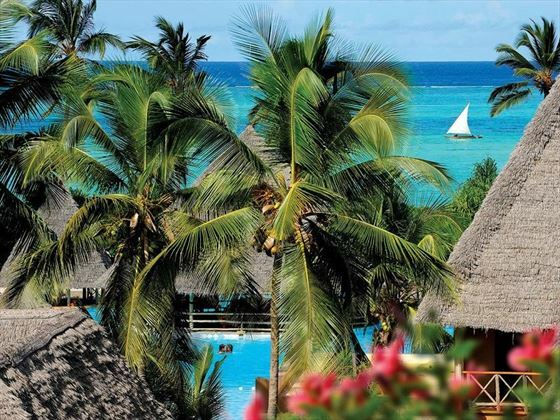 Enjoy the sauna, steam bath, oasis pool and packages for refreshing the mind – everything and more that you could want from a spa. With six restaurants to choose from you will not be short of somewhere to eat. 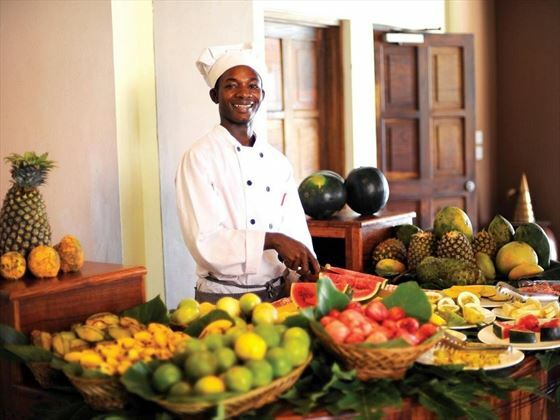 Local cuisine, seafood, Indian and Thai cuisine are just some of the tempting foods on offer. 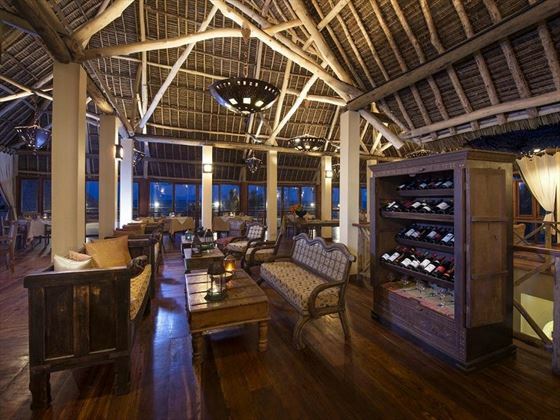 There are also three bars where you can sip on a delicious cocktail whilst enjoying your beautiful surrounds. 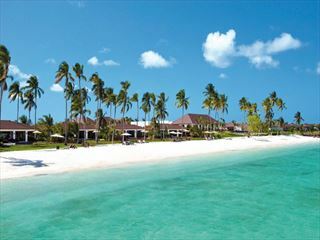 The resort is situated on the north east of the island. An hour transfer from Abeid Amani Karum International Airport. 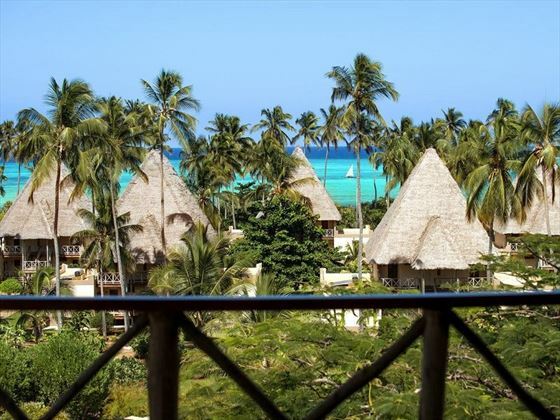 Suite - This spacious air-conditioned room features a balcony with ocean and garden views, a seating area, free Wi-FI and a flat screen TV. The bathroom has a spa bath.